Spiritual AR: Augmented Reality? Why not? I teamed up with my wife, the Guru Daniela Hills, to create a meditation that takes you too an alternate reality, just like AR can do. It puts you in the space of your inner self, which really is, at the same time, the self that surrounds you too. It becomes part of your consciousness. 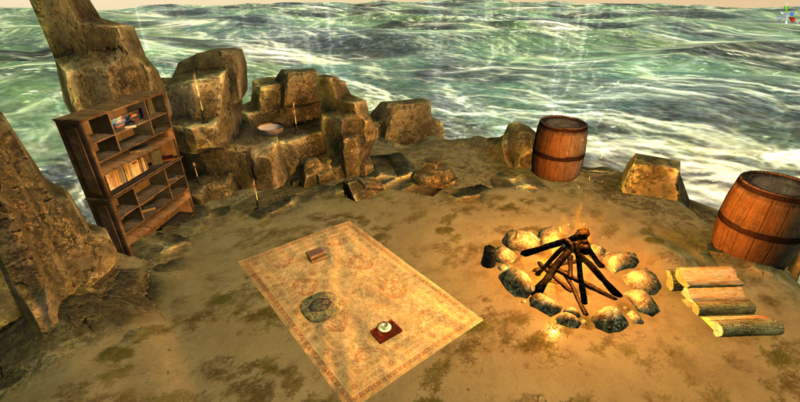 AR, when done as a window to an alternate reality, becomes like VR, or virtual reality. This is especially obvious in Daniela’s AR Dream Island guided mediation app. 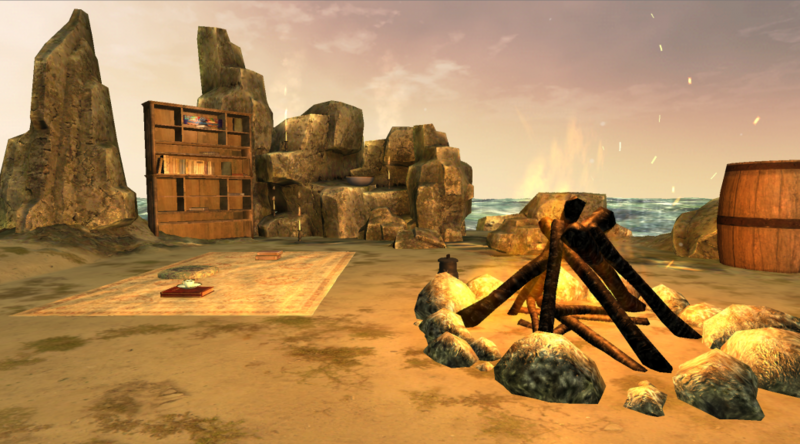 Using your iPhone you can view a beautiful, tranquil island environment, and become part of it. 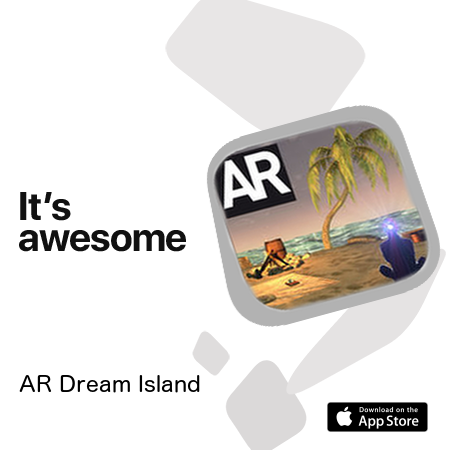 The AR, or virtual world, is explorable, as you move around it. 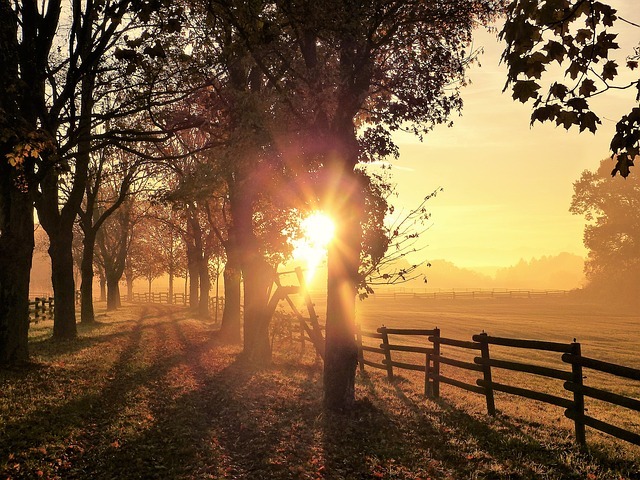 It is also incredibly relaxing and soothing when using headphones to listen to the gentle waves, crackling fire, the wind in the trees, and the birds overhead. 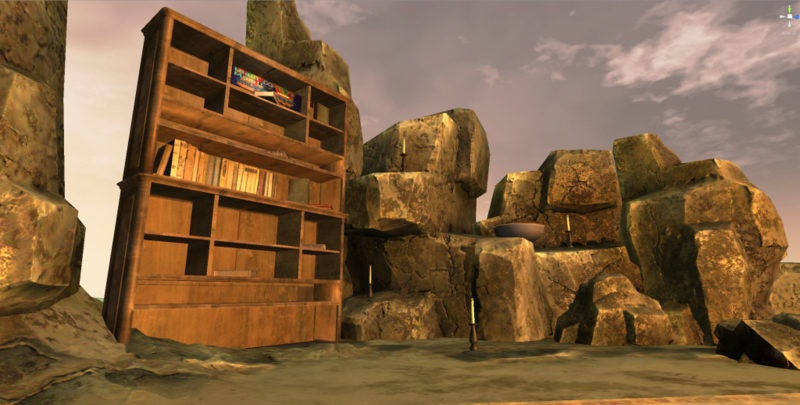 Since our spiritual self is both an experience which appears to be on the inside and the outside, it’s easy to except the AR Dream Island meditation environment as part of our reality. Growing spiritually doesn’t have to be difficult. It can be a lot of fun too. 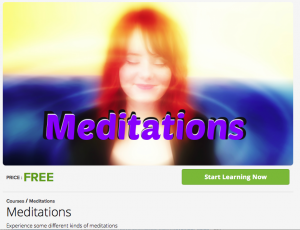 Your augmented reality education can begin with a guided inner peace meditation. Many things can be taught through AR, spiritual knowledge and experiences too. Augmented reality for teaching and learning is a great and effective new technology. It works well for authentic inquiry, active observation, peer coaching, reciprocal teaching and legitimate peripheral participation with multiple modes of representation. Indeed, augmented reality (AR) currently is great for pedagogical applications. Daniela’s AR guided meditation app is full of surprises. So not only does it offer a guided inner peace meditation that you can listen to once a day, to unwind and grow spiritually, you can also go on a treasure hunt. Hence, find the colorful message boards, and you will be led to further spiritual online education. It’s a fun way to make discoveries. Find the board, touch it, and start a whole new chapter of spiritual learning and growth. Daniela’s online school offers a lot of FREE mini courses to try out, and see if it’s the right thing for you to learn right now. Listen to it at least once a day. The easiest way to find inner peace is to allocate time each day to listen to a guided inner peace meditation. 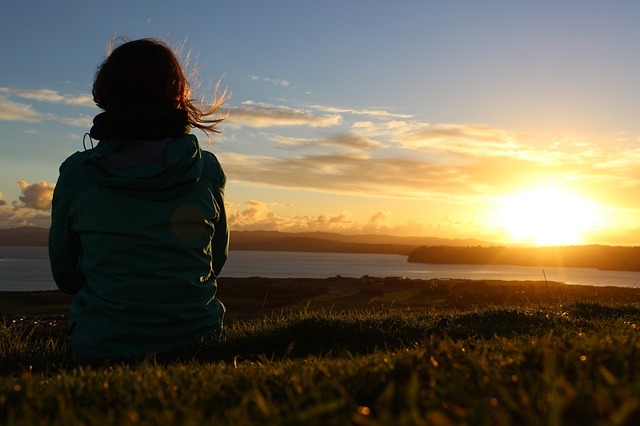 But what about ways to find inner peace in your daily work life? After all, the experiences that take you out of your inner peace are more then likely tied to work, and even some leisure activities. Most of the time we are creating more turmoil in our lives than is necessary, because of the way we think, which actually creates our blockages. This is ho’oponopono, an ancient Hawaiian mantra that is directed at the person saying it. Apparently we create everything in our lives, the bad stuff too. According to ho’oponopono we must apologize, forgive, show gratitude, and love ourselves, to release blockages that we create for ourselves. When I started using this mantra in may daily life, it really helped me to find inner peace. It works! 2. Simplify your life. The best way to do this is to allocate time for all of your daily tasks like email, etc. Declutter your home too. Clutter can keep negative energy trapped in your home. Just keep things simple. 3. Let go and accept reality. In this way you will be letting go of blockages caused by fear and worry. Worry is useless, and is just a projection of the future, which only exists in your mind, jaded by bad past experiences. Just live in the moment. 4. Do the stuff you enjoy, but in balance with the things you need to do. Both should fill you with a sense of accomplishment and peace. 5. Take time for yourself. Listen, every day, to a guided inner peace meditation, which will fast track you to inner peace. Ways To Find Inner Peace In Augmented Reality? An Augmented Reality App That Helps To Create Inner Peace? Normally an augmented reality app offers a mixed reality of 3d objects. The objects are projected, so to speak, in the real world. You then can view the 3d objects from every angle. This is interesting, true, but what if that AR experience goes much further to create a strong core of calm and inner peace? What if the experience permeates your being, bringing more confidence and strength, even in times of struggle? Daniela’s new augmented reality app can do this, and more. 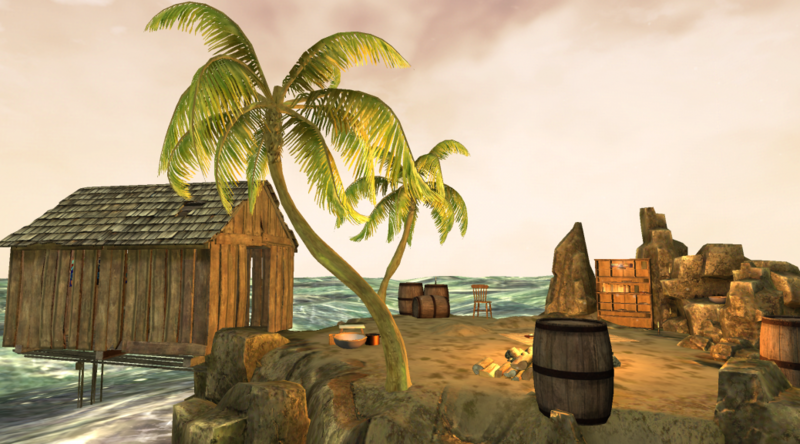 With Dream Island you can walk around the Island, right in your living room, listening to the relaxing sounds of the splashing waves, the crackle of the fire, the wind in the trees, and you will feel more calm and refreshed. Just welcome in the positive, healing energy. Let your body relax and your mind become clear. Through meditation, your true self will connect to a higher spiritual vibration.